Ashampoo Burning Studio is a complete burning software solution that provides all the tools you need to burn CDs, DVDs, and Blu-ray discs. With Ashampoo Burning Studio you can burn everything from simple data discs to highly complex movies with subtitles. Ashampoo Burning Studio also comes data protection features. Password-encrypt your data DVDs, backup your files to disc, external hard disks and flash drives or download photos, songs and documents from your smartphone or tablet. 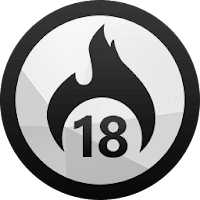 Disclaimer: Direct downloads for the lastest version of Ashampoo Burning Studio 18.0.6 are provided by the official software's author, we can't guarantee safety, availability or download speed. Moreover, we don't and we won't provide any pirated/illegal versions or tools. We recommend you to avoid it as these methods can harm your device. If you like the software, buy it to support the developers. (We provide software discounts for many worldwide brands).